Is it possible to make money online without having to pay something first? Well, the truth is it is possible but it will take a lot of work and investment of your time. I am going to share one of the methods here that doesn't require you to have a specific skill because some people complain they do not have a specific skill they can sell and do not have money to buy any products to sell in the real world or online. The only things they probably have are: Internet connection and time. Register with Strong Future International (SFI). SFI is a 17 year old affiliate marketing company currently with members in 190 countries. Registering for free is your first step in this guide, click here to do so. You get a $20 bonus for registering, this will be added to your earnings after you start earning commissions. Do not expect to get paid for doing nothing, remember, you want to invest your time and effort to build income for yourself. Stay focused on this objective if you truly want to make money online. Registering with SFI gives you access as an affiliate to its superstore, tripleclicks.com with more than 80,000 products listed from 160 countries. This means you have the opportunity to promote these 80,000+ products to get a commission. Review the products listed on tripleclicks.com and decide on the ones you want to promote. You have the choice to either promote them individually or make a collection of products you want to promote and market your collection. You can do both depending on what your online target market is. The products have different commission value based on the profit margins, so be sure to check to have an idea of how much commission you will earn per sale. Just click on 'SFI Toolbox' to generate your customized affiliate links. You can view my collection by clicking here. Promote TripleClicks products online and encourage people to buy them, the more they buy, the more you earn. 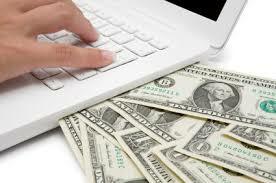 So, now you have it, a simple, 4-step guide to earn money online without buying anything yourself. It is very doable if you have focus, dedication and zeal to excel. Let me know what you think by dropping a comment.